It’s been a long time since we have available it again for this new version of Minecraft, but now we can fly our worlds with a helicopter. 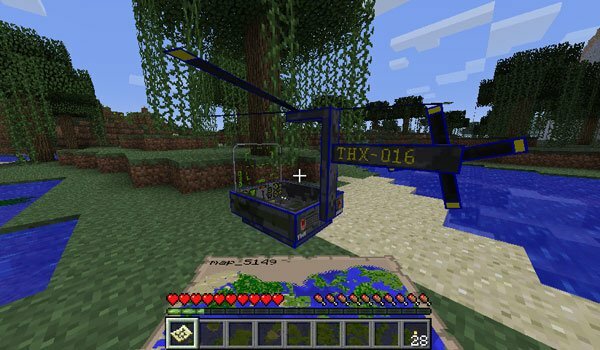 THX Helicopter 1.5.2 is a mod that allows us to craft an helicopter with which we move while we can use a machine gun to fight mobs or equal footing with creepers, due to the bombing function. How to install THX Helicopter Mod for Minecraft 1.5.2? Paste Modloader or Forge files within “minecraft.jar”. Paste the mod downloaded files inside “minecraft.jar”. Hovering in a helicopter Minecraft!